Cliffs by Kevin O'Donnell Jr.
We’d love your help. Let us know what’s wrong with this preview of Cliffs by Kevin O'Donnell Jr.. 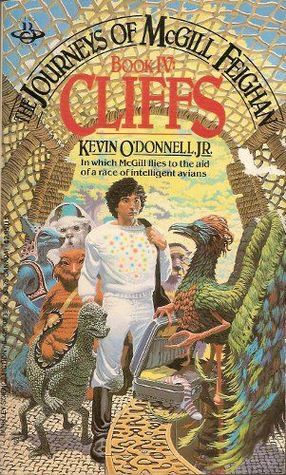 Preview — Cliffs by Kevin O'Donnell Jr.
How could McGill Feighan know that a fun weekend on Rehma the Bird World would turn into a frightening go-round with a mysterious mutant virus, an assault by galactic goons, and, as always, into a frustrating search for the Far Being Retzglaran? After all, his Talent was Flinging people and cargo across the Universe, not foretelling the future. So McGill set out -- with the How could McGill Feighan know that a fun weekend on Rehma the Bird World would turn into a frightening go-round with a mysterious mutant virus, an assault by galactic goons, and, as always, into a frustrating search for the Far Being Retzglaran? After all, his Talent was Flinging people and cargo across the Universe, not foretelling the future. To ask other readers questions about Cliffs, please sign up. Books by Kevin O'Donnell Jr.